HomeBlogHome DecorFlying Future OLED Lamp by Ingo Maurer. The “Flying Future” OLED lamp by Ingo Maurer was recently unveiled during “Milan Design Week” and although it is still in prototype stage, it shows the future of lighting systems. 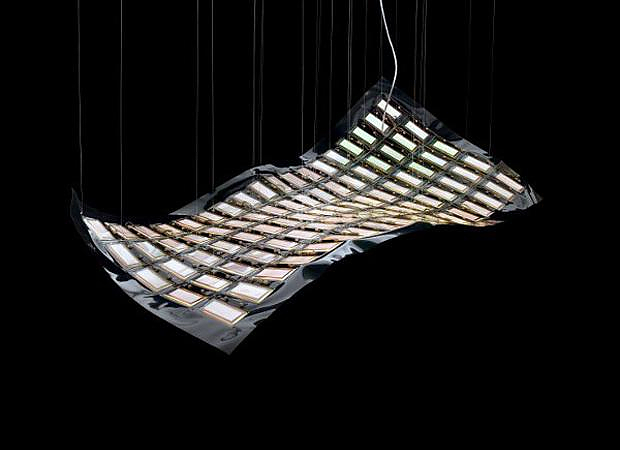 The source of light are 126 OLEDs (organic light emitting diodes) applied to a transparent bendable membrane hanging by thin transparent strings, giving the illusion of a bright veil floating in the room. At the same time all the technical elements, such as cabling and connectors, are exposed making the lamp look like a weird technological experiment. Ingo Maurer calls this innovative design approach “a symbiosis of high-tech and low-tech”. The stunning futuristic aesthetics make a bold statement and the use of OLED technology in a lighting system for the first time is undeniably a huge innovation. 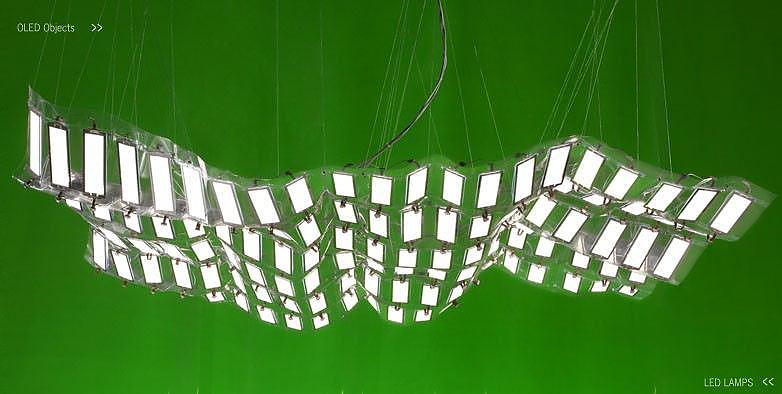 OLED technology is really innovative and has many advantages compared with traditional LED technology. It operates based on the same principles as LED technology does, but it offers greater brightness, lower power consumption and greater flexibility. They are manufactured using organic materials, essentially they are semiconductors composed of thin layers of organic materials, only a few nanometers thick. The light they emit diffuses to form an area light source. This solution requires much less operating power and provides very even lighting. The same technology is being used in many high-tech applications such asTVs, PC Monitors and SmartPhone Screens, but can also be used for lamps. 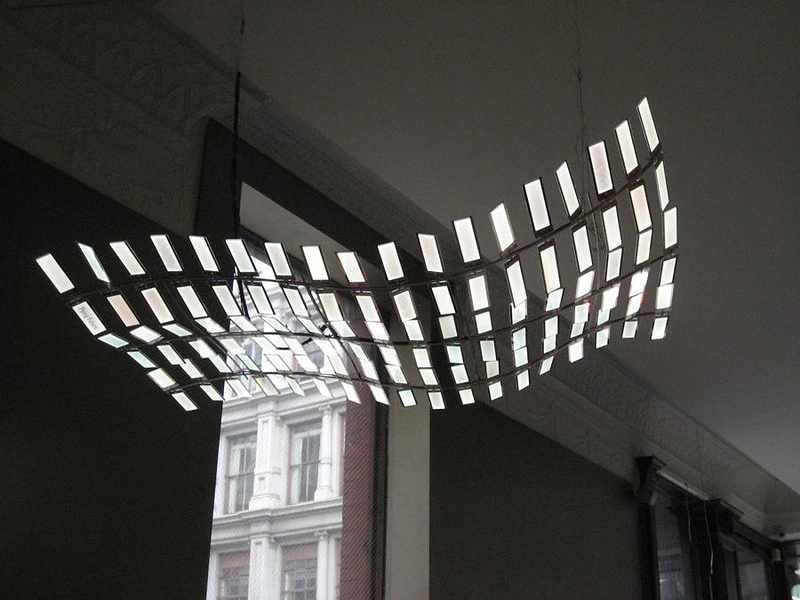 Ingo Maurer used panels made by Novaled, an innovative German manufacturer, forerunner in OLED technology. 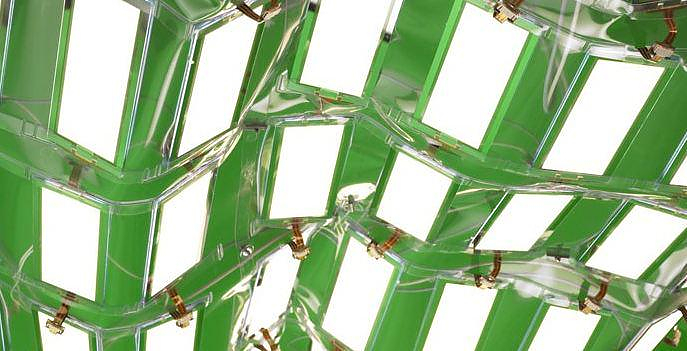 Gerd Günther, CMO of Novaled said that “These Ingo Maurer lamps are illustrating very well that first commercial OLED products can be realized already today”. 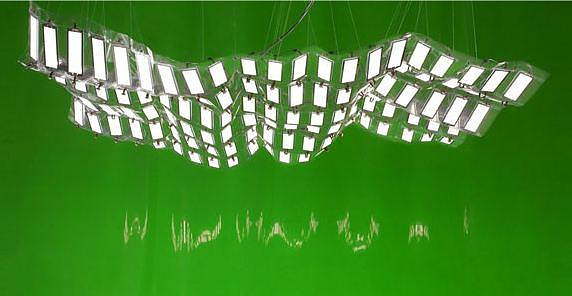 German born Ingo Maurer is widely considered one of the top living light-artists. Following a long career of creating artwork focusing on light, he went on to found a company in 1966 and started experimenting with LEDs in the early 1990s. Maurer draws inspiration from everyday objects and materials, as he has repeatedly stated, he is fascinated by the “magical and mystical” properties of light.